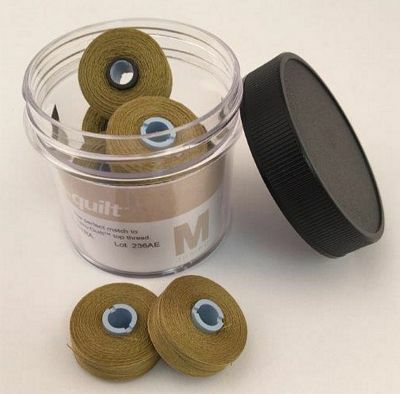 Fil-Tec Pre-Wound Bobbins are the industry leader. Made of high-tenacity polyester thread. The patented magnetic core creates consistent delivery throughout the entire bobbin. Available in bulk boxes and clear plastic tubes. High grade polyester thread. Consistent tension throughout the bobbin increases stitches per bobbin. This equates to more time quilting and fewer bobbin changes. Available in bulk boxes and in tubes. 50wt Egyptian cotton. Has the look of cotton but has the strength and colorfastness of polyester.